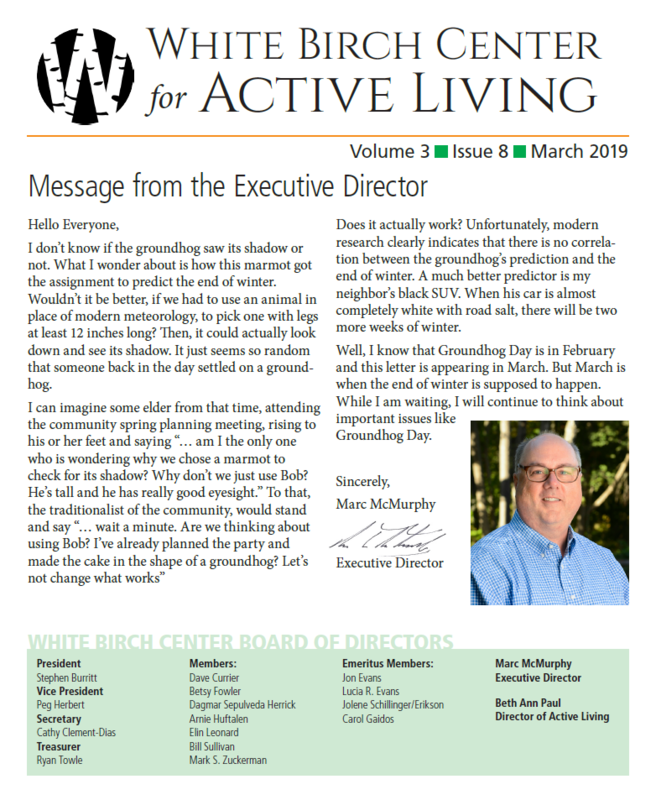 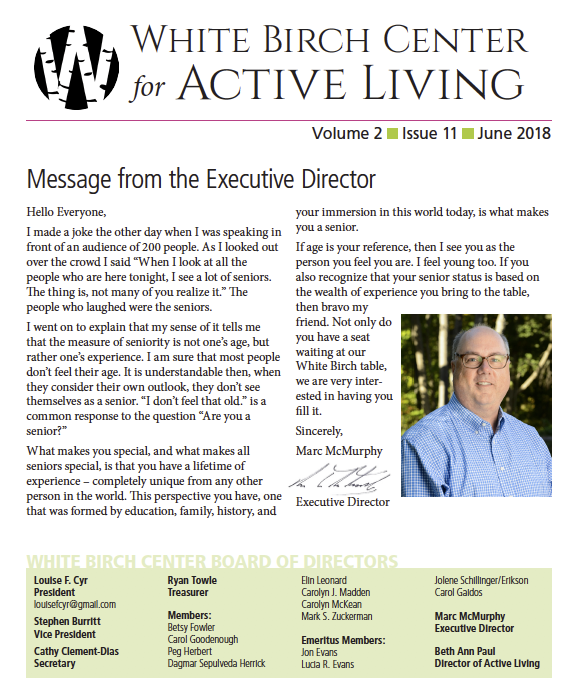 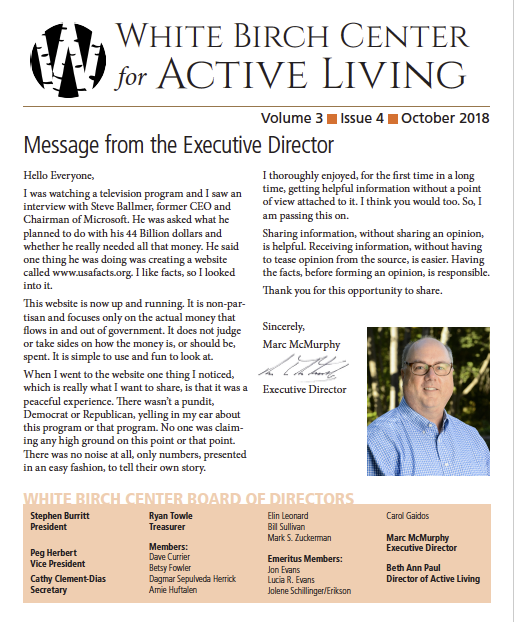 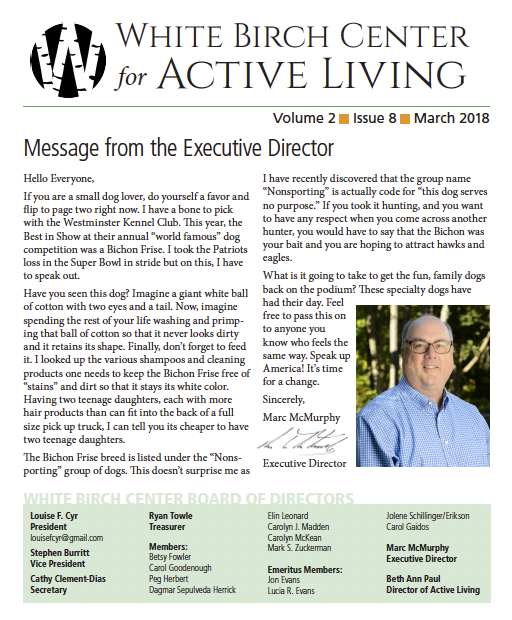 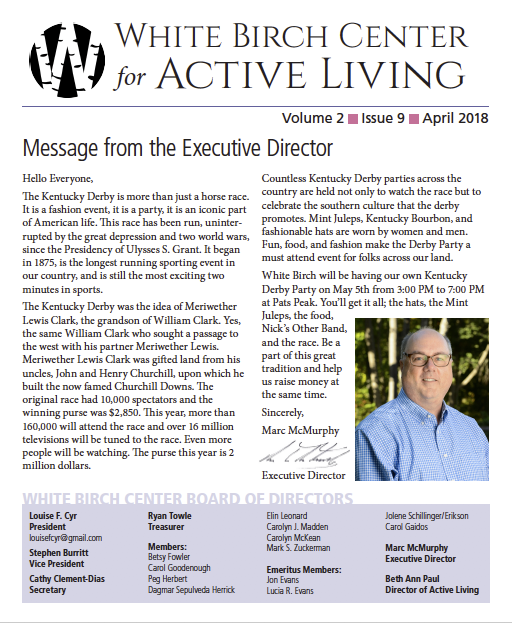 Our Active Living newsletter is published monthly. 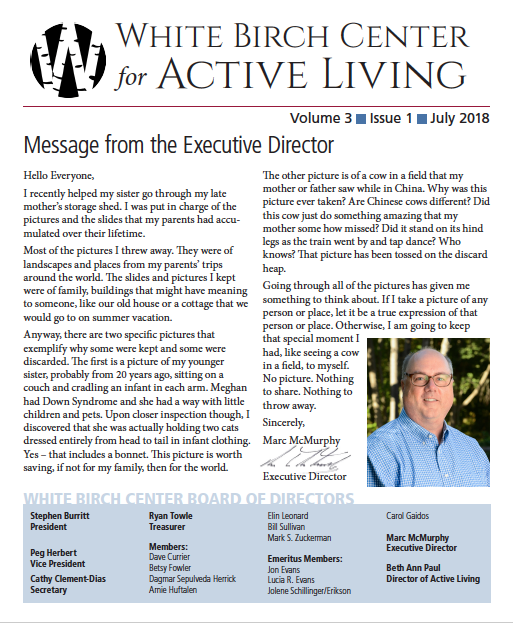 Read current and past issues, in PDF format. 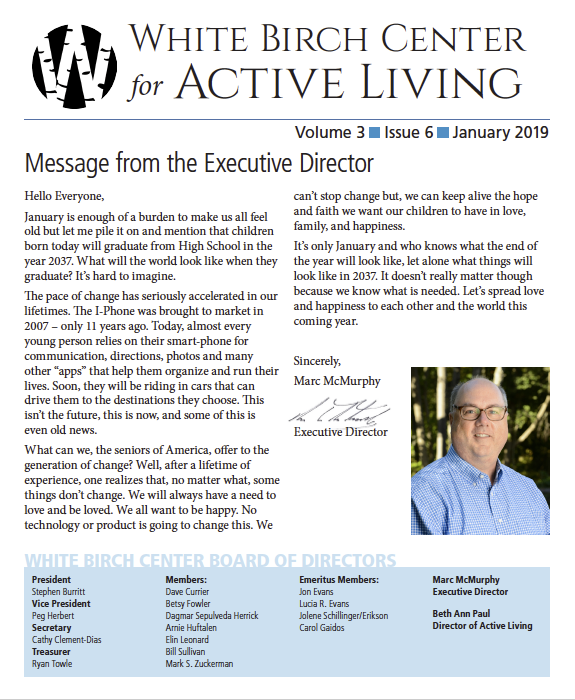 Getting Older is Getting Better!